Adri Arnaus and Justin Walters hold a share of the lead after a windy first round of the Qatar Masters. Arnaus conjured up the best round of his rookie season, taking the clubhouse lead with a five-under 67 at Doha Golf Club on Thursday. The Spaniard - second in the European Challenge Tour rankings last season - made an eagle-three at 18 after starting on the back nine and four birdies, with a solitary bogey at the fifth the only blemish on his card. "It was a lot of fun, honestly," Arnaus said. "The wind picked up early but we kept the ball in play most of the time and gave myself good looks. I was able to take advantage of those, so I'm pretty pleased. "It was so good being in contention last year, and then at the end being able to close it off at the Challenge Tour Grand Final gave me the belief that I could go on and do it on a bigger stage." 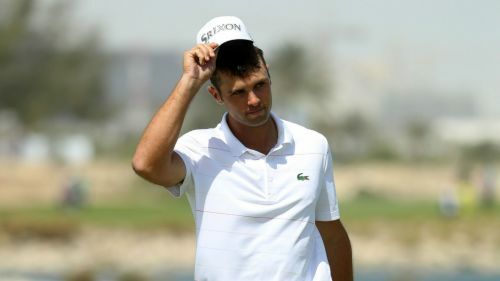 South African Walters joined Arnaus at the top of the leaderboard with a bogey-free opening round as he eyes a first European Tour title at the 192nd time of asking. Walters' compatriots Justin Harding and George Coetzee are among seven players just a shot off the leading duo. Huge Leon, Mike Lorenzo-Vera, Nicolas Colsaerts, Bradley Bredge and Richie Ramsey are also on four under, with just three shots separating the top 37 players on a congested leaderboard.